To be honest, Acharagma roseana plants are not particularly ingratiating – the flowers are not breathtaking nor is the spination stunning. 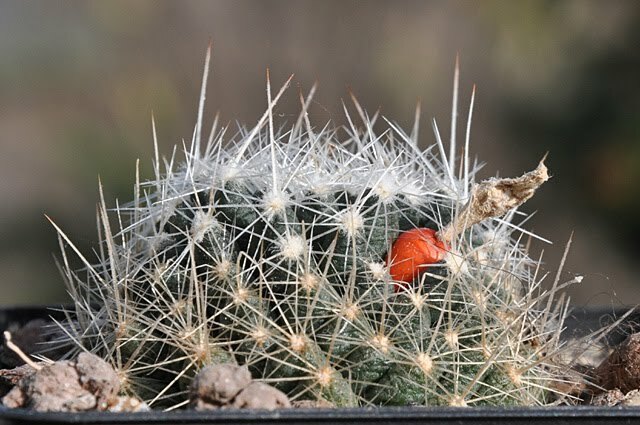 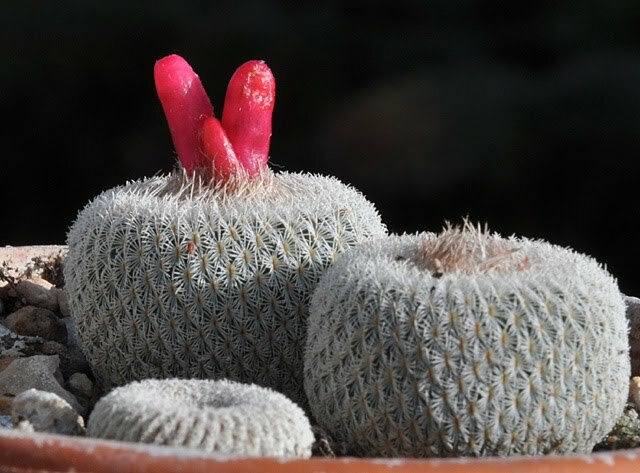 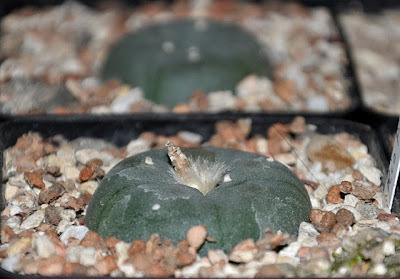 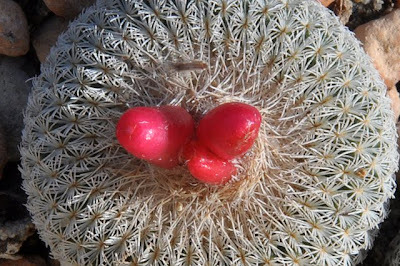 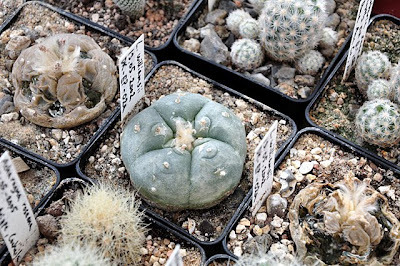 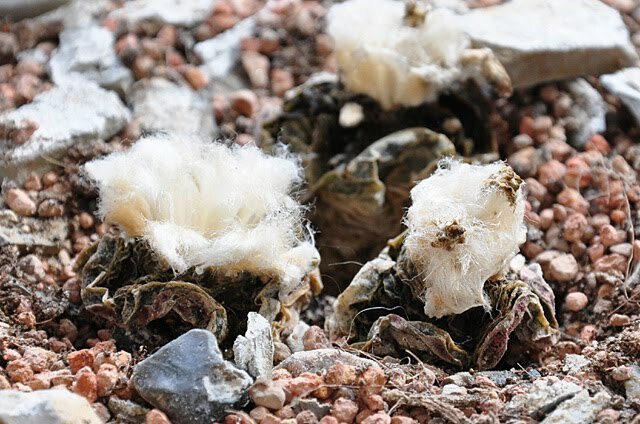 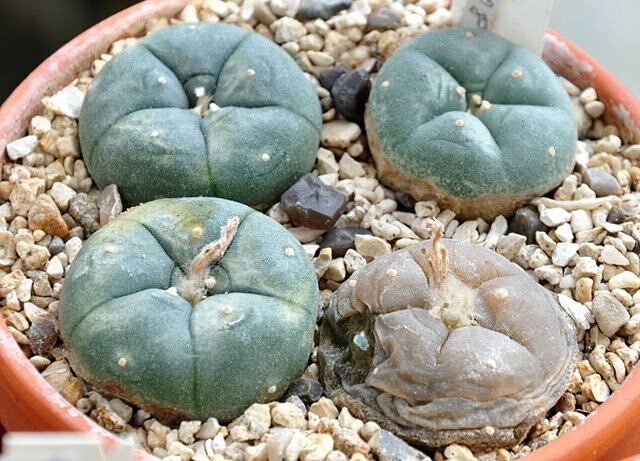 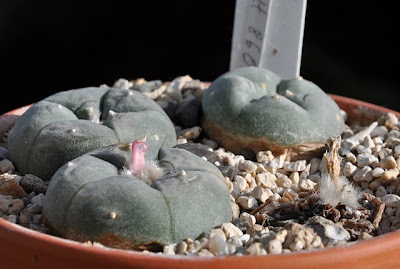 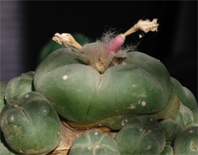 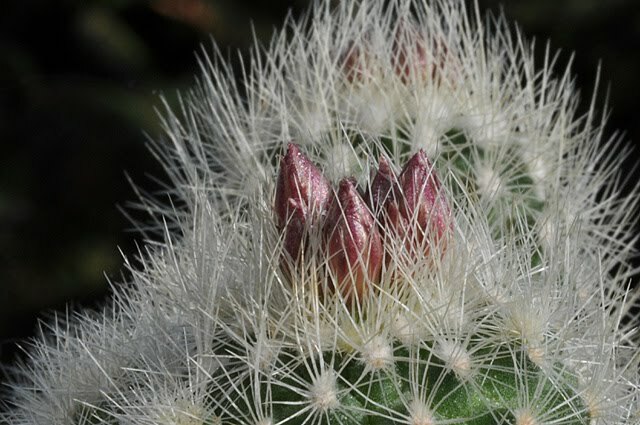 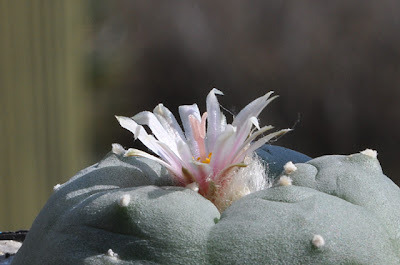 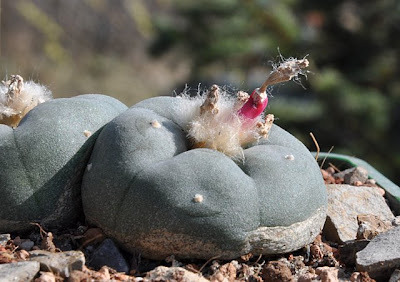 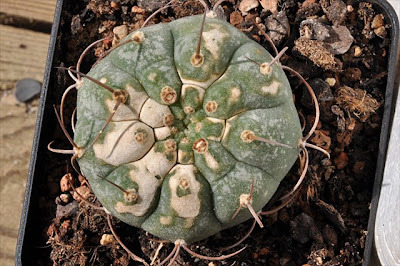 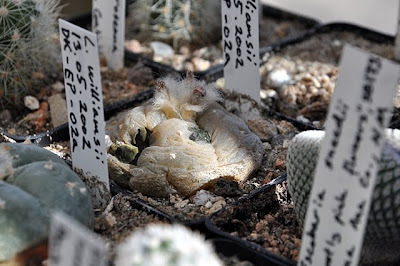 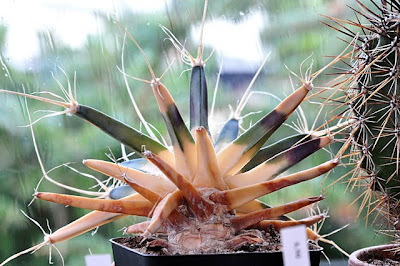 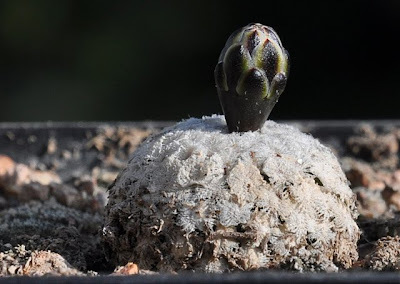 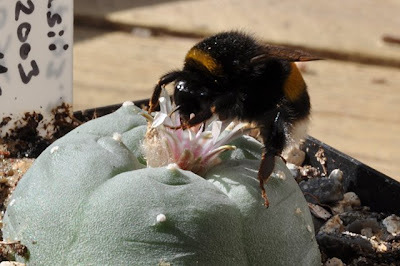 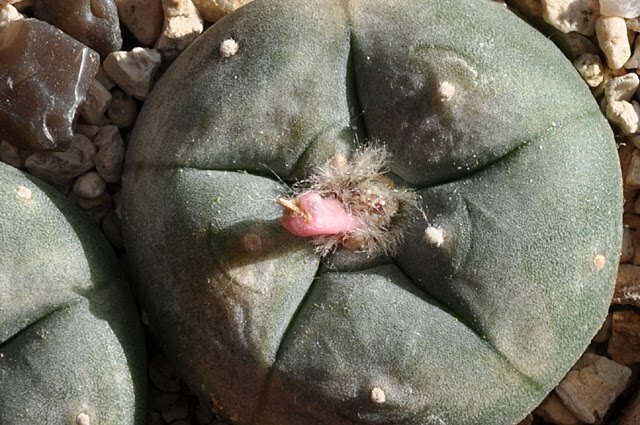 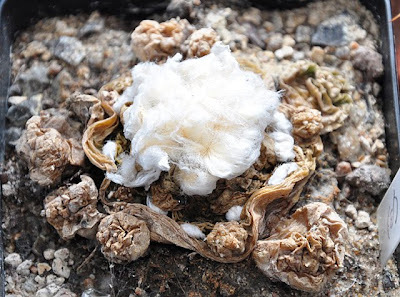 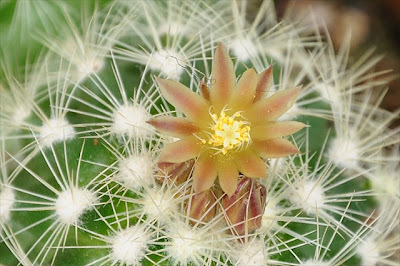 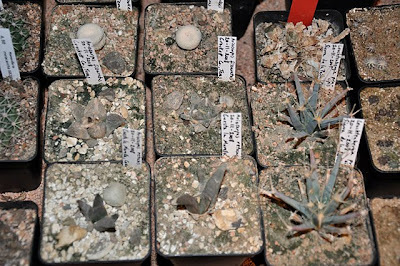 To me, the attraction of A. roseana lies in its close relationship with Lophophora and Obregonia, making it an obvious candidate for hybridization experiments. LOPHOPHORA CLADE. 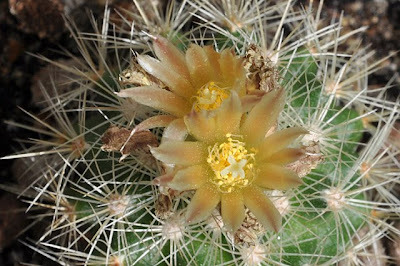 Although there is strong support for this clade (87% bootstrap, 5 decay steps), few morphological features unite this clade. All members have napiform or carrotlike tap-root systems, although these features are also found in other members of the tribe. 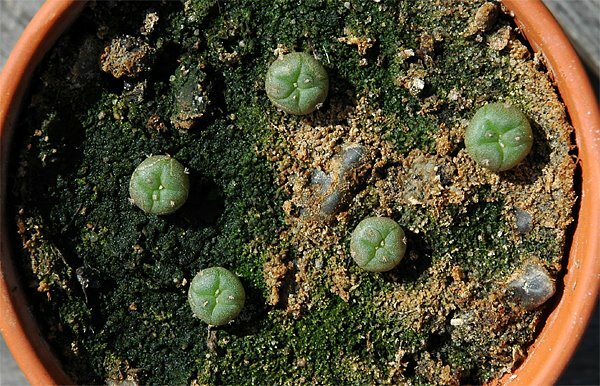 The two species of Acharagma have been a source of taxonomic confusion. […] The rpl16 intron data suggest the removal of these two species from Escobaria, placing them in a well-supported (bootstrap 87%, decay 5) clade containing Obregonia and Lophophora, the latter shown to be polyphyletic based on this topology. 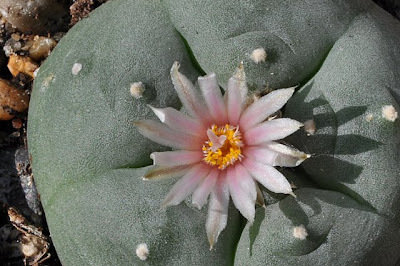 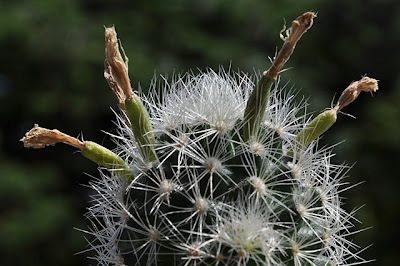 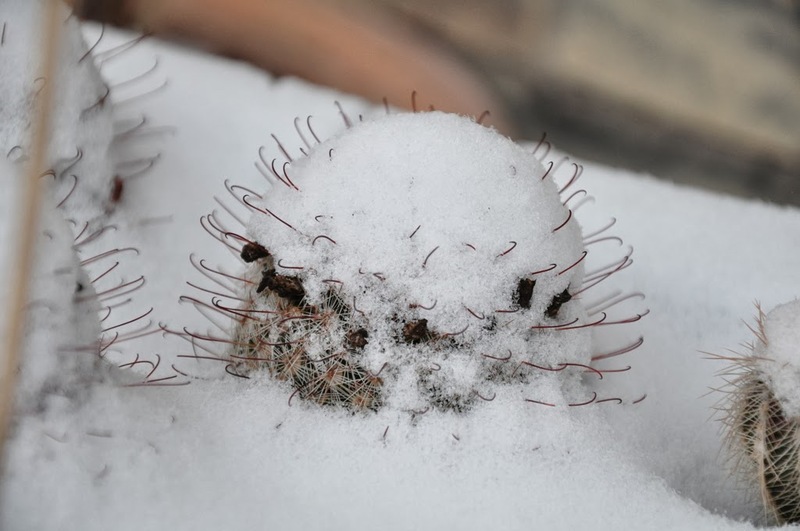 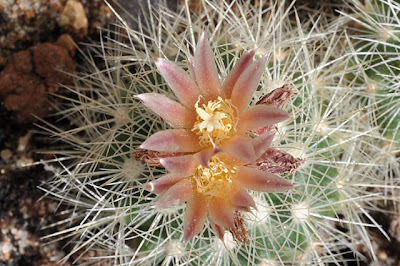 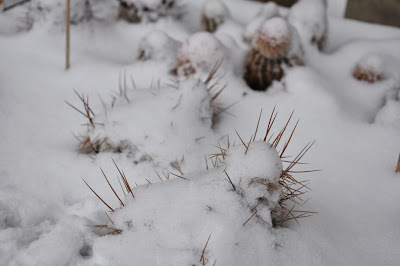 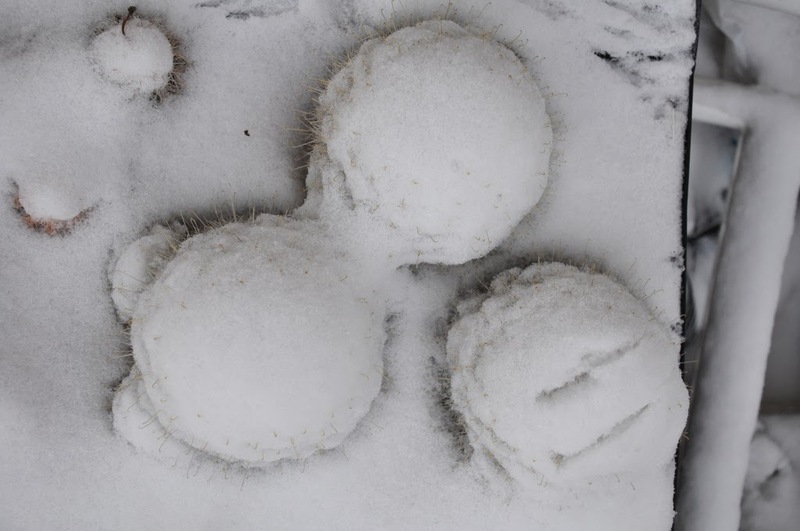 In The New Cactus Lexicon, Hunt describes this species as Acharagma roseanum - I’m not sufficiently well-versed in the Latin language to say which form of the name is correct, but according to this site on botanical Latin the specific epithet must match the genus name in gender. 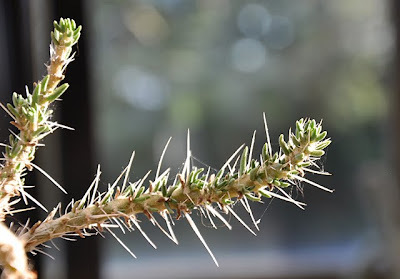 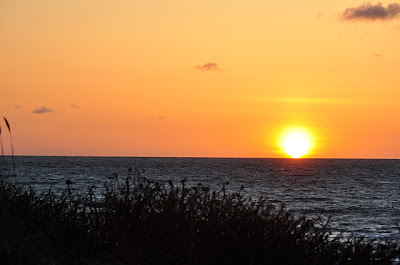 As Acharagma is from the Greek a, without, charagma, groove (the gender of which, according to Hunt, is neuter) this would warrant the “-um” ending. 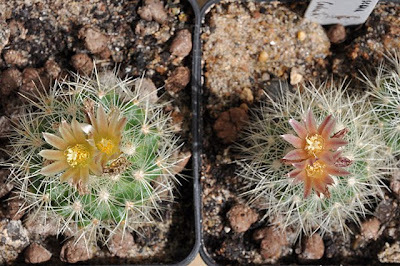 I’m a firm believer in applied laziness so I’ll stick to the (apparently erroneous) “-a” ending for a wee bit longer and avoid having to re-label my plants ;-) Hunt accepts two subspecies: ssp. roseanum and ssp. 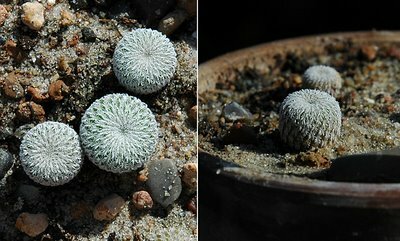 galeanense, the latter having more spines and slightly larger, cylindrical bodies, compared to the egg-shaped body of the typical form. 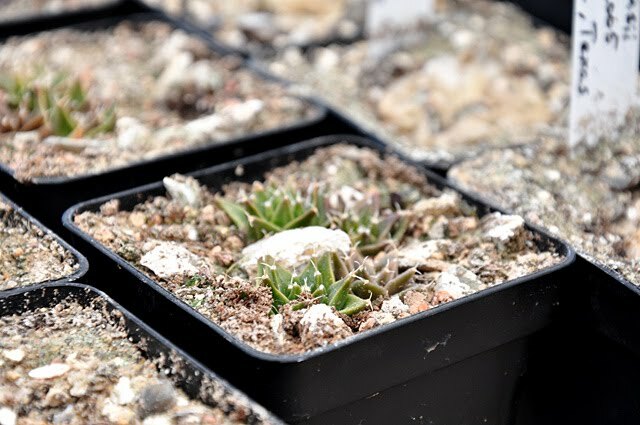 The Acharagma roseana plants featured in this post were started from seed in 2005 and flowered freely last summer. 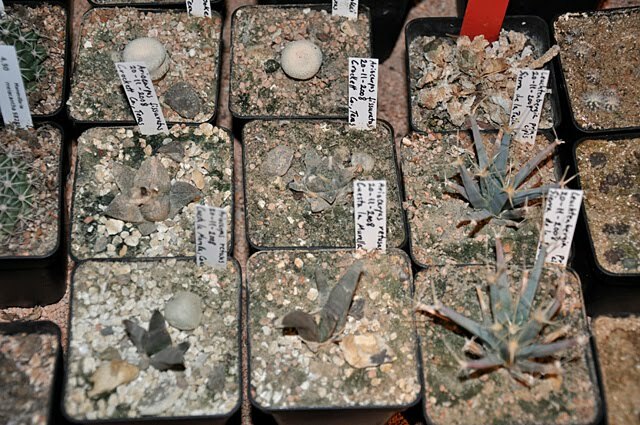 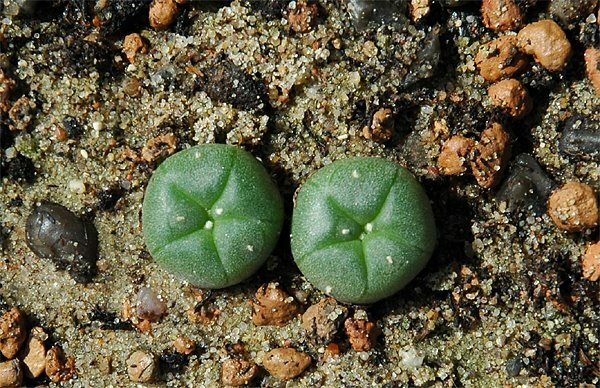 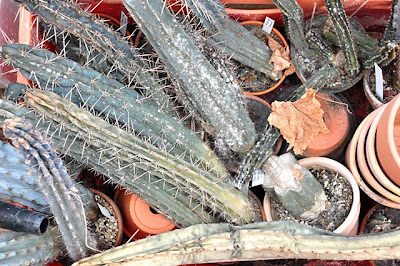 As mentioned I would like to use these plants for hybridization experiments with Lophophora but I still need to come up with a good protocol for avoiding self-pollination. 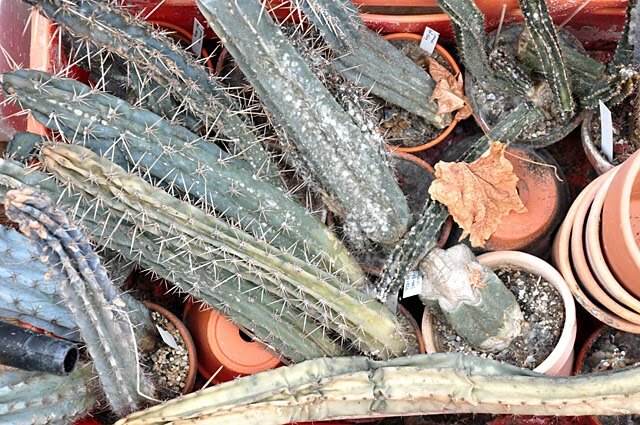 The locality information for these specific plants is: LX 578; Ramon Arizpe, Coahuila - “Ramon” should probably read “Ramos” but I'll stick to the information from the vendor’s seed list. Like most other parts of Acharagma roseana the fruits are not showy either. They are an inconspicuous yellowish green color, but have a surprising, not unpleasant, tart taste reminiscent of gooseberries. 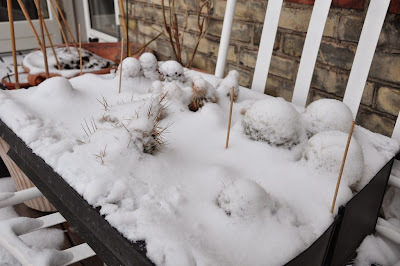 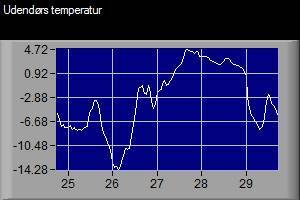 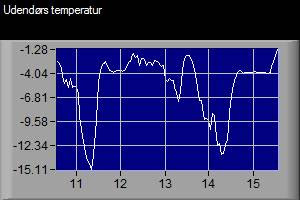 The plants grow in my unheated greenhouse and I hope they survive the month long cold snap that is just now loosening its grip of Denmark.